I have done my laundry, had my shoes heeled, stocked the fridge with healthy snacks and bid farewell to non-Festival friends – I’ll make up for it in September, guys. From now on, I’ll be in Charlotte Square Gardens, soaking up the Book Festival fun and making the most of the late nights at Unbound. I’ll be meeting visiting journalists, presenting to delegates from far flung lands and, of course, I’ll be chatting with many of the 750 authors taking part this year. 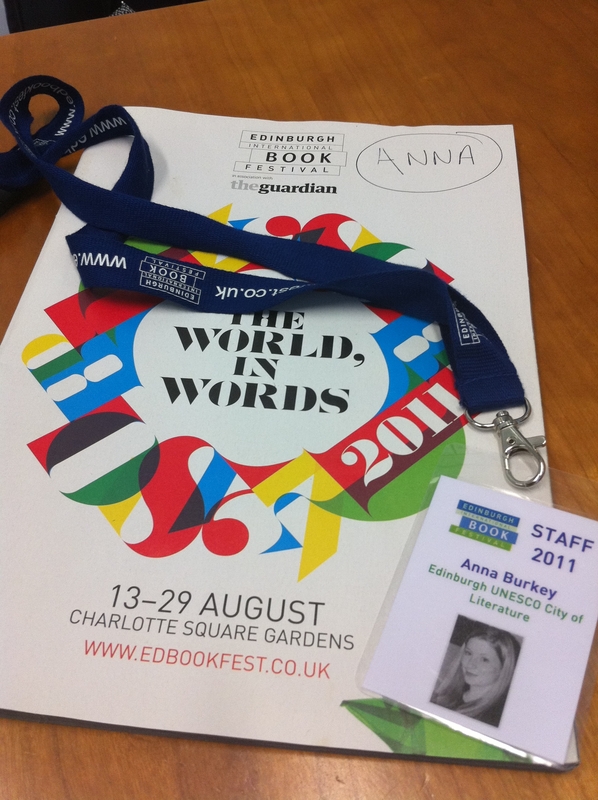 If there’s anything you’d like captured or covered from Ed Book Fest – from the flavours of ice-cream to the colour of shoes Audrey Niffenegger is wearing – leave me a comment or tweet @AnnaNotKarenina. I’ll be blogging daily with the answers, and life backstage at the Book Fest. I’m chairing Guardian First Book award-winner Dinaw Mengestu later this month, so I’m half-way through his second novel, How To Read the Air. Woo hoo! No sleep till September!